I’ve been wondering why, on our recently concluded US tour, the Tallis Scholars were such a pleasant and civilised bunch of people to be with. 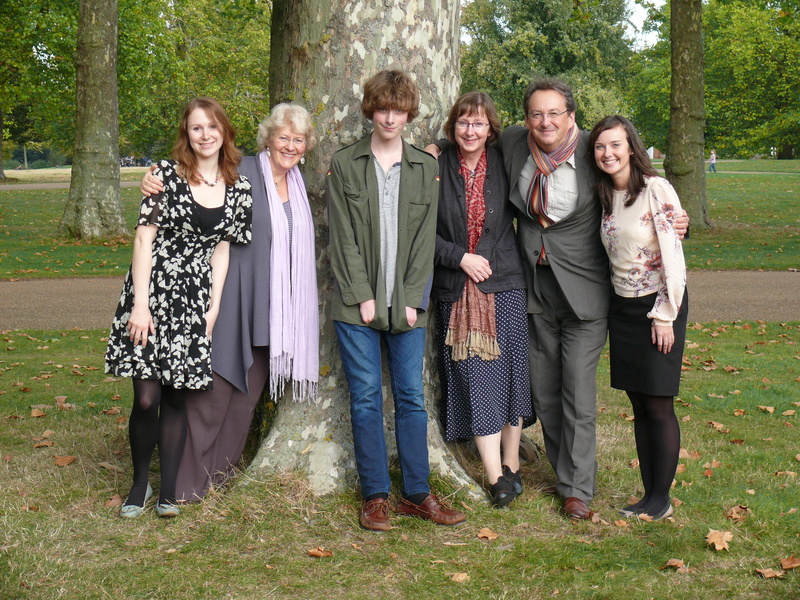 The answer came to me in flash – five of the ten singers are the children of Anglican clergy. That must be it. 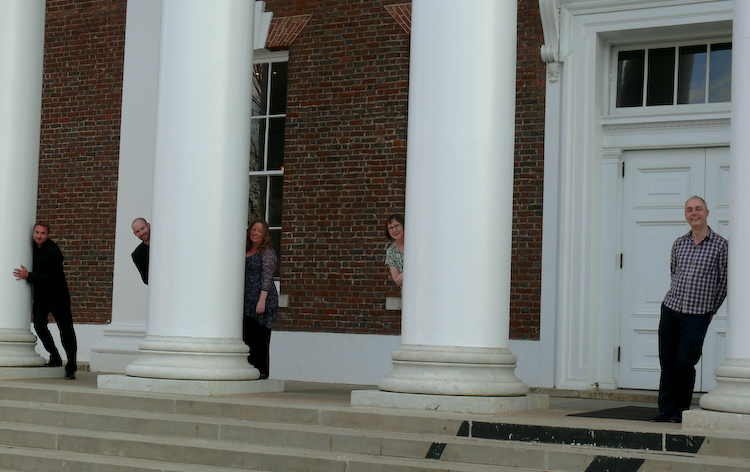 So I invited them to pose for me around the entrance to Cabell Hall at the University of Virginia in Charlottesville, where we sang on April 3rd. Convinced? 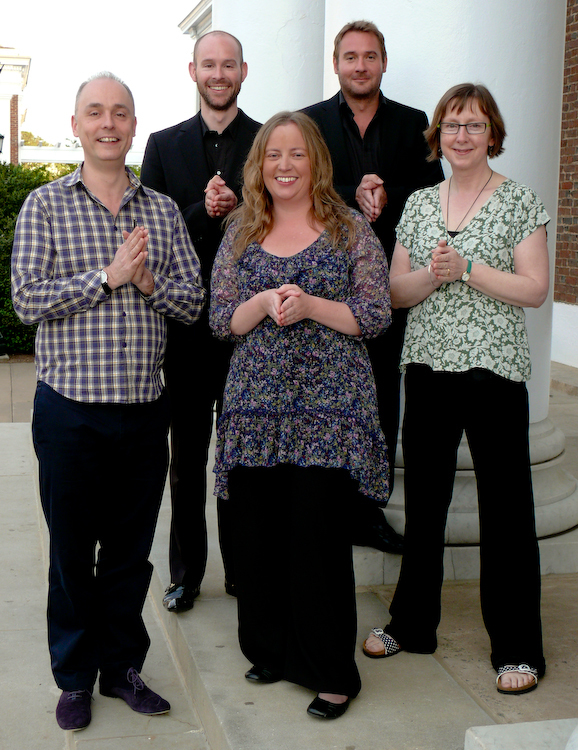 They are (l to r of the lower picture) Patrick Craig, Simon Wall, Amy Haworth, George Pooley and Caroline Trevor. Early in February I had the pleasure of working with Intrada – a group of students at the Moscow Conservatory of Music. Despite singing exceptionally well, most of them are actually studying choral conducting. 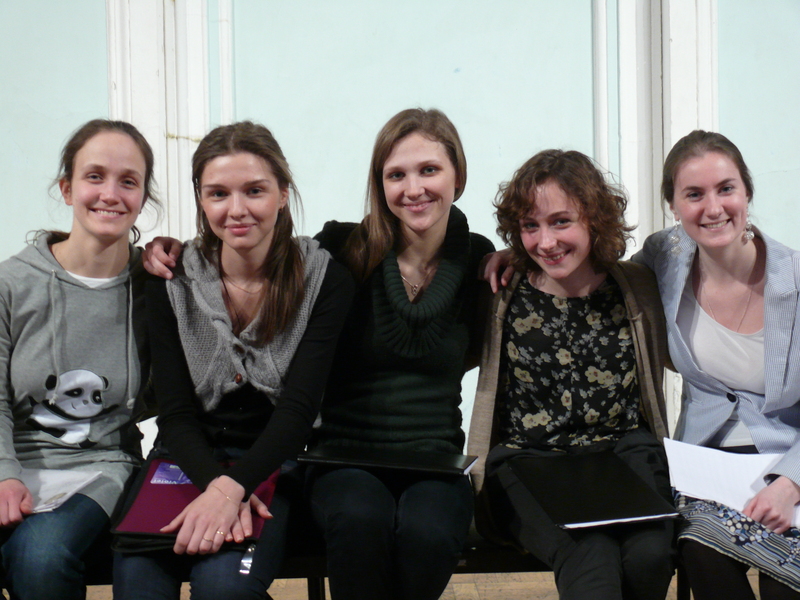 Pictured above is the alto section, which includes Katya Antonenko at far right, the founder of the group. We sang Palestrina’s Missa Brevis and Josquin’s Praeter rerum seriem, amongst other things, in the Conservatory’s Rachmaninov Hall. It may not be generally known, or be evident from this photograph, but Russian women have as many low notes as Russian men. A low E flat from these five is really something. Посвятив свою жизнь изучению и исполнению музыки эпохи Возрождения, Питер Филлипс завоевал огромный авторитет в этой области. Выиграв конкурс на стипендию для обучения в Оксфорде в 1972 году, Питер Филлипс изучал музыку Ренессанса под руководством Дэвида Уалстэна и Дэниса Арнольда. В 1973 году он основал вокальный ансамбль «The Tallis Scholars», с которым к настоящему моменту дал более 1750 концертов и выпустил более 50 компакт-дисков, пропагандируя полифонию Ренессанса по всему миру. Embedded somewhere in the Christmas story is the idea of much being contained in a small space – or multum in parvo as the restored roadsigns leading into Rutland have it. The opposite, which I will leave you to chisel into Latin for yourselves, presumably gets less attention in the bible, yet nicely sets up any discussion of the current interest in writing choral music for 40 voices. 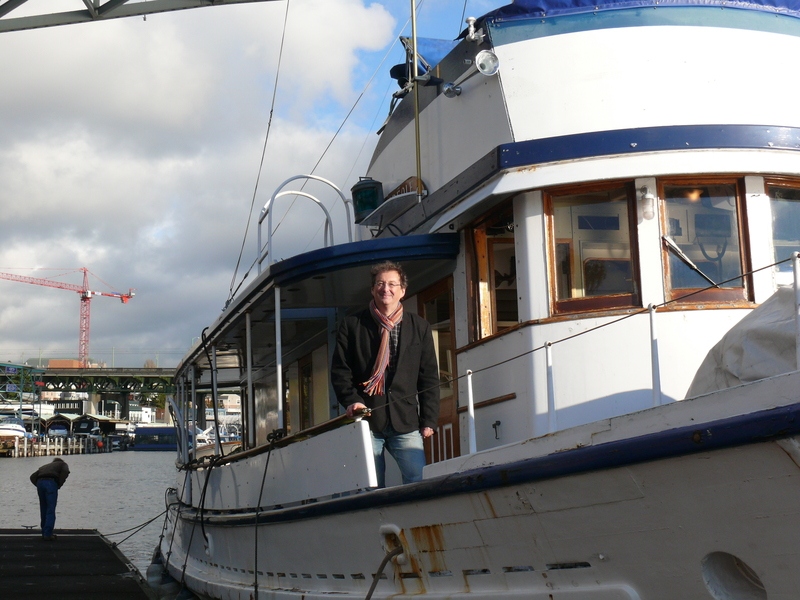 Followers of this blog will know that in December 2007 I bought a yacht: a 78-foot wooden-framed yacht, built in 1929 and launched the following year, called the Creole and based in Seattle. Although she is one of the most beautiful vessels I have ever seen – and the few times I’ve been out in her I have had the time of my life – I have not mentioned her for some time because trying to run a vessel from thousands of miles away is a uniquely worrying experience, and I didn’t want to be reminded of it. Boats, especially wooden ones, deteriorate very fast in rainy conditions. However on November 18th 2011 I met Jayson Owen who runs a lodge on Kodiak Island, Alaska (www.bearpawlodgekodiak.com), in search of a new angle on marketing his business. We intend to go into partnership together, using the Creole as the main attraction in what is so deliciously called the ‘high end’ of the market. So, if you want to see bears and whale and many other natural delights at very close quarters check out the Bear Paw Lodge website. 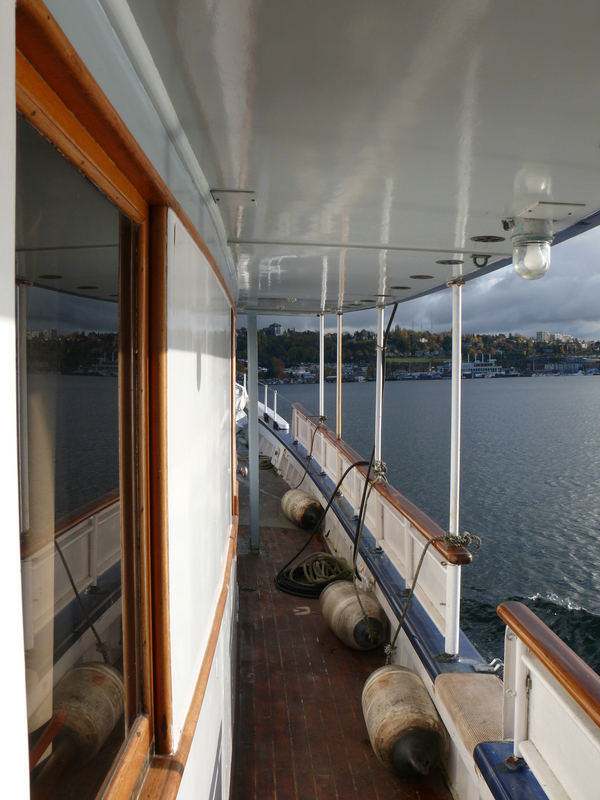 The Creole, fully restored and fitted, should be appearing on Kodiak soon, as will I and my family. This is the place to find information about my projects, concerts, recordings and writings. You will find here my calendar, a description of the organisations I will work with, and some publicity material and photographs which may be downloaded. I cannot guarantee that this site is completely current but will always be pleased to hear from anyone who is interested in what they see here. This site is only a basic information service and it may be necessary to find out further details (like box-office or contact phone numbers) via other websites or using the links below.